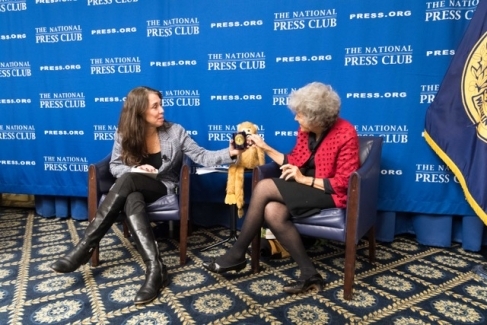 NPC Book Rap: Joanna Breyer  - "When Your Child Is Sick"
Author  Joanna Breyer discussed her book, "When Your Child Is Sick" at a Tuesday evening Headliners Book Event. 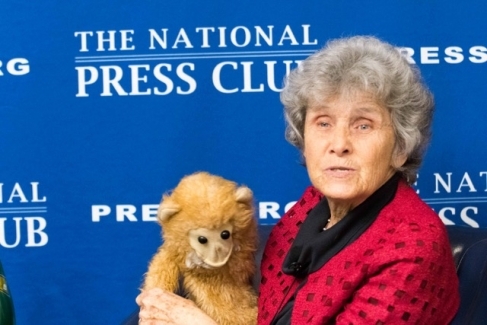 Breyer brought with her "Ned," a puppet she uses with rudimentary ventriloquism to help children cope with their illness and treatment. Club Vice President Alison Kodjak moderated the Book Event and informed the audience of her personal relationship with Mrs. Breyer. Kodjak is a longtime family friend and herself a survivor of childhood cancer. 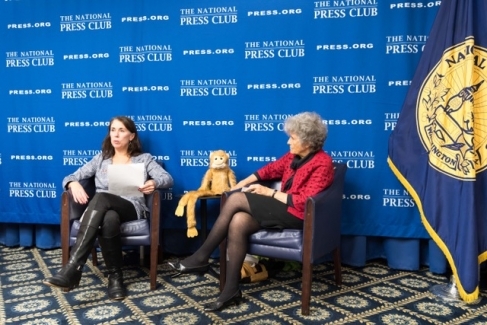 Breyer noted adolescents in particular among those having the most difficulty with illness. Many treatments require strict regimens and teens are not known for their ability to manage such schedules. 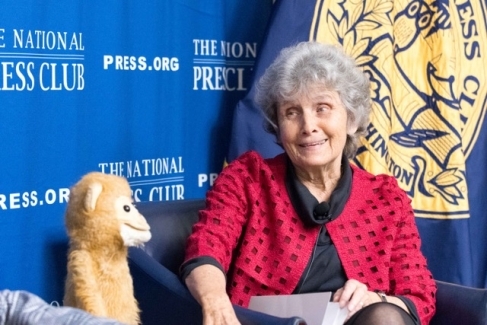 Using her puppet Ned, Mrs. Breyer demonstrated her ventriloqism and technique for helping children cope with their illness. 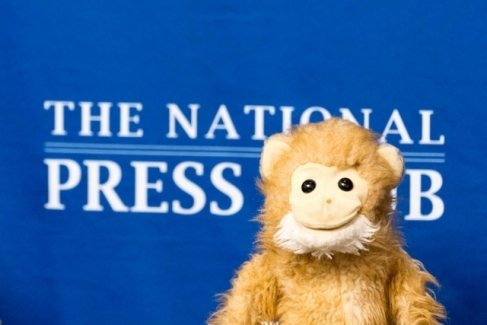 At the conclusion of the Q&A, Vice President Kodjak presented Mrs. Breyer with the traditional National Press Club coffee mug.